Squirrels Along The Creek With Uncle Mel…. You talk about the experiences of your life that you’ll never forget…for a twelve-year-old boy his first morning of real hunting is one that ranks at the very top. To this day I’ll never forget it, or, the man who taught me what it meant. Ed. Note: Tom Cappell is a veteran shooter, hunter and writer from Missouri whose views on the outdoors and the outdoors industry are thought-provoking and always responsible. His columns have previously appeared on Press Pros, sponsored by Olde English Outfitters, in Tipp City. I can remember a particular Friday afternoon in my life as if it happened last week; and the one I’ll share with you actually happened 50 years ago. I paced the floor in my family’s home outside Columbia, Missouri, nervously checking the driveway with every trip across the room. She was talking about her brother, and my uncle, Melvin Davidson, whom I affectionately knew as “Uncle Mel”. And he was far more than just your average uncle. Uncle Mel was like my second dad, mom’s older brother, and my link to the world of the outdoors and hunting and fishing adventures unavailable to the other boys in my fifth grade class. He lived downstate outside Amlin on two hundred acres of bottom ground and woods, and for as long as I could remember he had taken an interest in me because Mom was his only sibling, and he had no boys of his own. At age eight he began to teach me how to shoot a .22 rifle, catch catfish from the creek that bisected his farm…and he let me tag along in the fall on rabbit and pheasant hunts. He was patient, mindful to explain the ways of the outdoors, and how to enjoy nature’s bounty of wildlife with safety and ethics. But earlier that summer of 1964 Uncle Mel had promised me that come squirrel season, and as soon as he got some crops in, he’d take me hunting for the first time. Hence, I paced and waited, checking every few seconds for his familiar pickup truck to enter our drive. He was, indeed, never late, but would it hurt for him to be a bit early just one time? At exactly four pm he arrived, honked the horn, and jumped out of the cab on a slow jog to the garage door where Mom and I anxiously waited. “Please make sure he’s careful – you’ll be with him, won’t you?” she insisted. Mom had packed a clean change of clothes for me, and tucked a bag of cookies into the cab of the truck for us to enjoy on the way down the highway. In a matter of moments we were on the road. “Have you seen anything in the woods yet?” I asked anxiously. His words were like throwing gas on a fire. 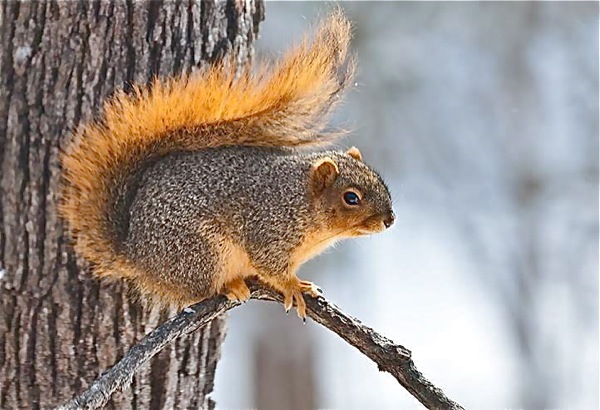 I had never hunted before – not by myself – but I could imagine being overrun by squirrels eager to get their morning meal and my being in their way. In my adolescent mind it seemed like a matter of self defense. Whatever he said I was buying as the miles dragged. It was eighty four miles door to door, and owing to my impatience it might as well have been coast to coast. But we did get there, right on time, and within minutes Uncle Mel had a pitch fork in my hand helping him distribute hay to the herefords in his feed lot. It took about an hour to feed and water everything and then we headed to the house where Aunt Floy had a supper of chicken and dumplings waiting. She knew they were my favorite, and hers were a lot better than even the ones up at the highway, and people drove from miles away to eat ‘em at the Roadside Diner. “Tell me again how many we’re allowed to shoot,” I asked. It was the longest night of my life. There was no sleep in my bed, as I tossed and turned and imagined what morning would bring. And, would I be able to handle the little .410 that Uncle Mel would let me use? 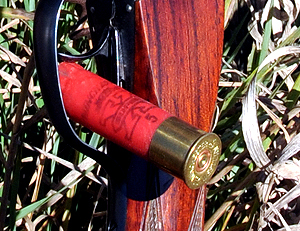 I’d never actually fired a shotgun before, and I knew they kicked more than a .22 rifle. At some point I must have dozed off because promptly at 5 am Uncle Mel shook me awake. In a moment I had my hunting pants on, a pair of rubber boots, a flannel shirt and the hunting coat Uncle Mel and Aunt Floy had given me last Christmas. Overnight the weather had changed and a north wind had dropped temperatures down into the low forties. Eggs and bacon went down in a flash, and moments later Uncle Mel threw his thermos of coffee and my bag of cookies in the truck and we headed off across the southeast pasture for the half-picked cornfield that bordered Shaner’s Creek. The drive itself only took minutes, but when we got there Uncle Mel had a rowboat he’d tucked in between a pair of sycamore trees. He scooted it into the water and held it steady as I climbed in. About fifty feet out in the creek there was a small island and that was his destination. And indeed, he turned the rowboat upside down in front of an old log where we each took a seat and waited for daylight. We shared some hot coffee and a cookie as the eastern sky began to brighten. Within minutes his words came true as we both heard the telltale rustling of a squirrel dragging an ear of corn, and more than one squirrel, at that. Suddenly the maples and sycamores along the creek bank were alive with activity. It was just light enough to see to aim and Uncle Mel carefully instructed me to hold my aim just in front of the target’s nose. My heart felt like it was in my throat as I drew a bead on the unsuspecting victim. Perched about fifteen feet off the ground, he worked furiously with the corn cob as his industrious tail gave away his location. At the roar of the gun all went silent as the echo of the shot went up and down the creek. I thought I had missed, but in an instant the big fox squirrel lost his grip on the limb and tumbled to the ground. My chest was about to bust with excitement. Sure enough, within seconds they forgot about the shot and nervously began eating again. Easy enough, in the tree next to the one I had just shot, I caught the motion of a wagging tail and soon found the business end of my target. This time the shot came sooner, and more instinctively. Boom…and a second big ‘red’ tumbled down. It was like that for the better part of an hour. Uncle Mel never took his gun out its case, content on me getting that master’s course in squirrel hunting on my first morning out. After the second shot it took longer for things to move again, because as he had said, squirrels are very wary. They learn fast. But by hour’s end my first hunt was over as I had harvested four, the limit, and Uncle Mel slid the boat back into the water and we headed for the other bank to collect our prizes. 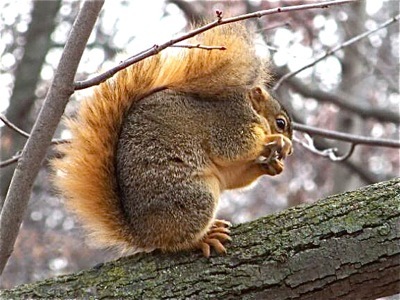 They were much bigger than the gray squirrels I had seen in the city park back home. And perfect for skinning and a big pot of squirrel stew, Uncle Mel said with a wide smile. By eight thirty we were back at the house where he carefully skinned, cleaned, and quartered the meat – then packed it on ice. Dinner that night was on me, Uncle Mel proudly told my mom on the phone, who was more concerned about me shooting myself than a limit of squirrels. Open this year’s hunting season with a trip to Olde English, proud to sponsor outdoors content on Press Pros Magazine.com!